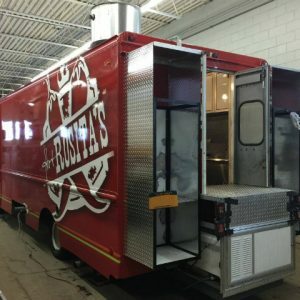 Food Trucks are basically rolling restaurants. 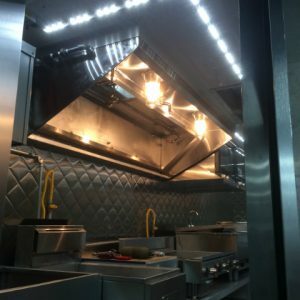 This makes building your kitchen even more challenging than everyday restaurants. That’s where we come in. 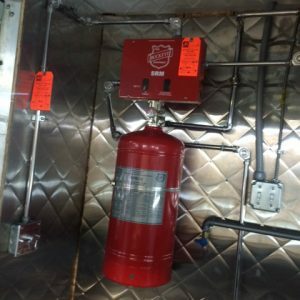 From the tread plate on the floors to the exhaust fan on the roof Monroe Extinguisher and Monroe Kitchen Equipment can help you with almost everything you’ll need to build out your food truck. 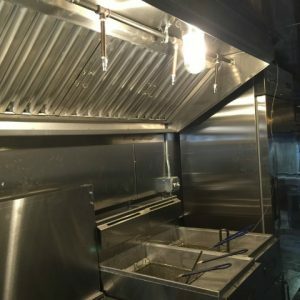 We can custom fabricate and\or install countertops, sinks, tables, refrigeration, wall cladding, hoods, exhaust systems and fire suppression systems. Need more information, availability or pricing on our water jet cutting services? Use the form below to contact us or call 585.235.3310.